Welcome to BloggingEclipse – A community of Bloggers & Affiliate marketers to get freedom from the 9-5 JOB lifestyle. This blog is dedicated to bloggers, who are living an Internet Lifestyle or want to..! On BloggingEclipse I share Tutorials, Tips & tweaks about Affiliate Marketing, Making money from Blogging, SEO, turning our visitors into Customers and online marketing tips for Entrepreneurs and Start-ups. BloggingEclipse was started to help bloggers & internet marketers with resources, tips, tweaks & industry news. This is the era of internet, and in this era, it’s not that much difficult to make money online, if you know the right approach. My team & I write about SEO Tips, Affiliate Marketing tips & tricks, Web Hosting reviews, Web hosting coupons, Ad-network reviews, CPA network reviews, growth tools, etc.. to help my readers grow in internet marketing field & save money on their internet business investments. We do share latest coupons for internet marketing tools, cloud hosting and many exclusive deals for SEO tools, etc. with our unique coupon codes. Blogging is all about exploring yourself, Engaging in conversion and sharing your ideas, thoughts & creativity via a platform. It’s not only about coding but to make yourself available to millions via a platform. Blogging has become a full-time profession for thousands & Top ninjas are making more than $10,00,00 a month from it. There are various options available to cash out from a blog or website, All it depends upon your work, approach, industry & patience. Here I will teach you the exact working methods to monetize your blog via affiliate marketing, running right campaigns on your traffic & SEO strategies to drive tons of Organic traffic to your blog. Hello, my name is Aliakbar Fakhri, but you can call me Ali. And I am the owner and fountainhead of BloggingEclipse & several other blogs. I am an Internet Entrepreneur, blogger, world traveler, daydreamer and a visionary human being. Sitting on a couch and weaving romantic castles in the air didn’t work for me and hence, Blogging was my stage to perform. I stepped in this beautiful field in may 2013, and then industry never lets me look back. Here I am with my creative repertoire of thoughts. 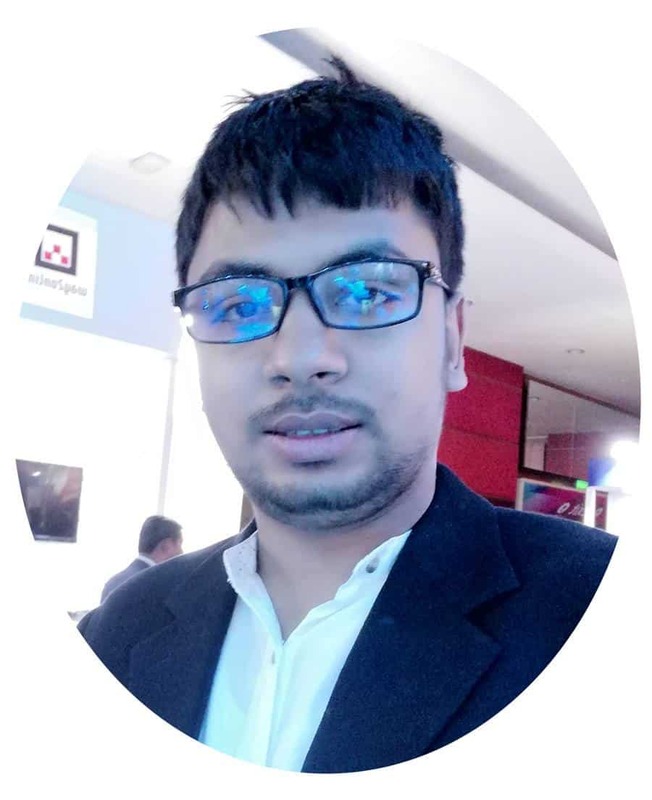 I have an experience of 5 + years in SEO & Digital Marketing field. With the strong knowledge of Internet Marketing terms like Social Media Optimization (SMO), Search Engine Optimization (SEO), Blogging, E-commerce SEO & WordPress. I began to learn about blogging in early 2013, searching for online money generating ideas, spending sleepless nights, reading stories of others self-claimed blogger(s) at that time, viewing payment screenshots form thousands of websites and then I realized the specific effective strategy of this field. It took a lot of time & patience to learn, understand & create money making blogs. I was not having any resources or financial sources to start or invest in blogging as I was unaware of results. Like every new blogger, I was also confused about where to start and should I continue Blogging for the living? My schooling got completed in 2012, and my college life began. I started from blogger.com (BlogSpot) and used fast money making methods in the initial, but I was getting fail in every blog. Many of my websites got penalized on google, and even my Google AdSense got banned several times. In 2013 I launched my first blog TricksMe.in which was a huge success and in the middle of 2013 my that used to get approx. 10k+ daily unique visits. I was earning between 200-300$ per month from Adsense & Cpalead, and gradually I started to invest in buying Different domains & hosting to start other blogs too. Even some of my blogs failed but having patience and trusting in myself was the best thing I did. I knew success comes from failure and hence I never quit from Blogging. In 2014 December I Started my another Blog TweaksMe.com which is a tech blog, and in 2016 I started BloggingEclipse for helping other bloggers & internet marketers succeed. I have stopped using traditional display ads on my all websites, and now my 100% income is from Affiliate Marketing. This blog was launched in mid-2016, but it came into notice of several pro bloggers, internet marketing ninjas and affiliate companies in the mid of 2016. With quality content and my in-depth strategies in affiliate marketing industry, I have been able to drive thousands of organic traffic which actually turned loyal readers of this blog. BloggingEclipse.com have been featured in various forums, communities, Affiliate events & on social media handle of many companies. It is not only a blog but a community for bloggers to exchange ideas get latest trends, save money using coupons & deals for blogging tools and much more. By the end of 2018, this site will get a completely new design with forums feature, virtual training for blogging & making money online. 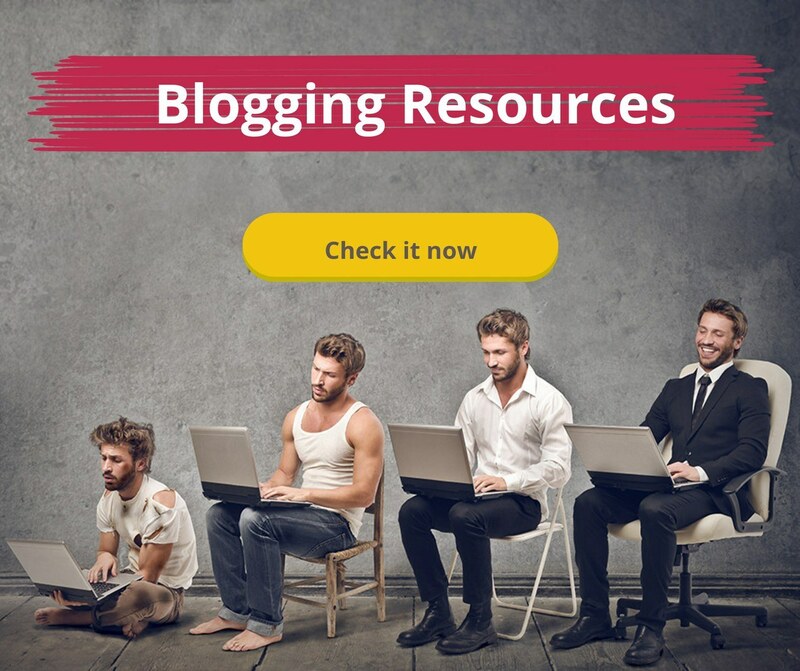 Almost every blogger has their toolbox and resources which they love for numerous uses. Every blogger has different choices on domain registrars, web hosting providers, blogging, themes, etc., etc. Here is the list of my favorite tools & services which I am personally using to make my blogging life more easier. Cloudways: To host BloggingEclipse on DigitalOcean VPS servers with fully managed Control panel and Backups. Intellyo: The next generation Content Creation tool with all in one assistant. GetResponse: for Email Marketing & beautiful landing pages. Grammarly: To check vocabulary and grammar with Advance AI. DashLane For Managing all passwords, secure notes with ease. Fiverr: For all SEO/Digital Marketing outsourcing. KontentMachine: To generate high quality articles for niche based blogs. FreshBooks: The final cloud-based accounting and invoicing software for Bloggers/freelancers. SEOPressor: The only premium WordPress SEO plugin for improving On page optimizations. WP Coupons plugin: The only premium plugin to add beautiful coupons section on your WordPress blogs. HideMyAss: Best VPN for protecting Internet privacy & surfing anonymously. Where am I standing today? I started my journey in Blogging from part-time, and now I am a Full-time professional blogger. I started earning $5 per day & now I am Making more than 4k$ per month from several Affiliate websites. I have attended numerous of Blogging & Affiliate marketing conferences around the globe in last 2 years. I find myself lucky I started Blogging & selected It as my full-time profession. I quit my college & didn’t complete my graduation. BloggingEclipse & TweaksMe has given me a lot of online exposure, and many people in the blogosphere know me just because of this blog. If you want to really make money from Blogging or affiliate marketing, then you need to work with the right approach. If you choose wrong methods, Un-ethical ways or shortcuts, you won’t succeed. Blogging is an art, and you need to showcase your best creative talent via blog medium to users for driving more traffic. When it comes to Affiliate marketing, Your marketing methods should be strong enough to turn a visitor into a customer. All I can say is don’t quit. Currently, my goal is to reach next level of Blogging & start online Affiliate marketing courses at very cost-effective prices for new bloggers who can’t afford expensive blogging training. My team & I am working on our new projects, and soon at the end of 2018, we will launch our Blogging Training module. I have started working on my Affiliate Training module, Where I will be teaching Newbies the exact same strategy I use to create 6 figured generating affiliate website in 3 months. I am also writing a Book (It’s not on myself), Its about my strategies, Hustling, tools & resources I used to create this online empire. It will be published soon. My other goals are to reach $10k monthly earnings & start offering professional E-commerce & search engine optimization solutions to companies with innovative ideas. All I can say Blogging is freedom, you can work from any part of the world and believe me guys, this industry has a lot of potentials if you work ethically with patience. 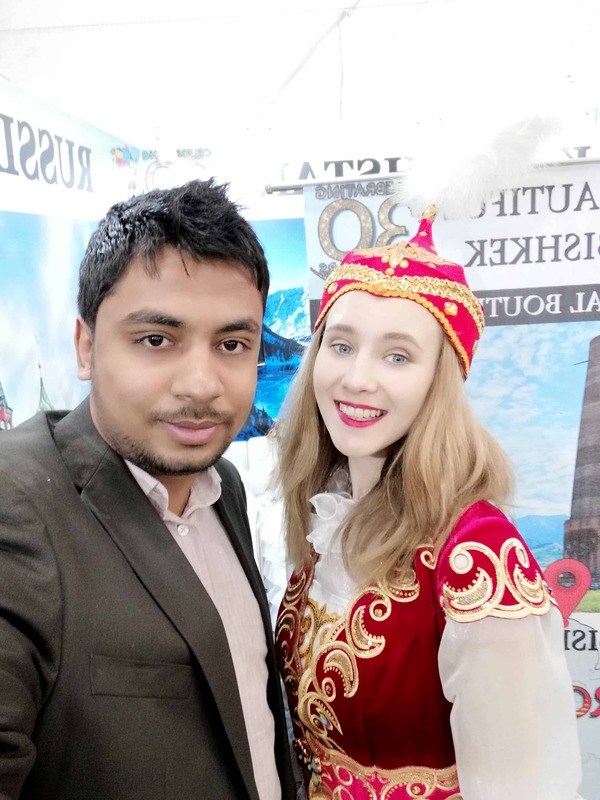 Wish you Success in Blogging and Good Luck!